Putting on view 13 paintings, 17 engravings, 9 gouaches and 1 illustrated 17th-century book, the exhibition examines the diplomatic gift Johan Maurits of Nassau-Siegen offered the Sun-King in 1679. This exhibition follows the fabulous adventure of a series of landscape paintings by the Dutch artist Frans Post begun in Brazil between 1637 and 1640, completed in the Netherlands and offered to Louis XIV some forty years later. For the first time, this exceptional exhibition at the Louvre brings together all the works in this series that have so far been rediscovered. The Dutch painter Frans Post was the first European artist to paint landscapes of the New World. Eighteen of these paintings, accompanied by nine Brazilian landscapes Post executed from memory after his return to the Netherlands, were offered by Prince Johan Maurits of Nassau to Louis XIV in 1679. Eight of these paintings are in the Louvre’s permanent collections and form the core of the exhibition. Although only four other canvases from this series are as yet identified, we are aware of additional works executed by Frans Post through engravings and gouaches, which are presented here alongside the large landscapes. These paintings evoke the region of Pernambuco at the northeastern tip of Brazil, under Dutch control until 1654. Remarkable for reuniting the seven rediscovered landscapes painted by Post in Brazil, today held in four different collections, this exhibition is a first in the history of art. Johan Maurits of Nassau-Siegen (1604–1679) was named governor-general of the Dutch territories in Brazil in 1636 by the powerful Dutch West India Company. He travelled to northeastern Brazil in 1637, accompanied by soldiers, officers, scientists and artists including the painter Frans Post (c. 1612–1680), and remained in power there until 1644. Post was ordered to paint landscapes documenting Dutch possessions, as well as their chief stronghold of Recife, its main buildings, and certain battles. These canvases were intended to provide a topographical record, but also to serve as decoration for the governor-general’s residence in Pernambuco. Post completed eighteen paintings in Brazil, which were brought back to the Netherlands upon his return, and which he used as inspiration for engravings illustrating a record of Johan Maurits of Nassau’s tenure as governor-general in Brazil, written by Caspar Barlaeus. These paintings and this book were part of a magnificent group of Brazilian objects offered in 1679 to Louis XIV by Maurits of Nassau shortly before his death. 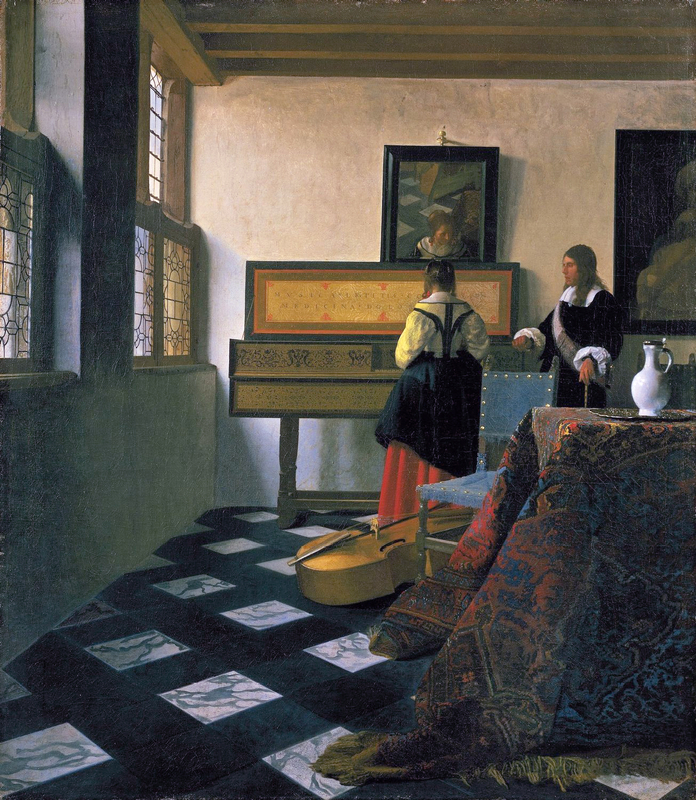 Certain canvases had been executed from memory by Post after his return to the Netherlands. nine gouaches by Thiéry, an amateur 18th century painter who copied the paintings given to Louis XIV and which were at that time housed at the Château de Chaville. Today, these gouaches are preserved in the Bibliothèque Nationale de France. The Louvre exhibition is one of numerous events dedicated to the South-American country in France this year, since 2005 is “L’année du Brésil en France”.